Montevideo, Uruguay. Language: Spanish. Editor: A.M. and Leonor Tizon; Raul Escursell, Juan M. Blanes; Guillermo de Pro. 1/1, 1935-1970(?) 32-48pp., $1.20 a year (Uruguayan). 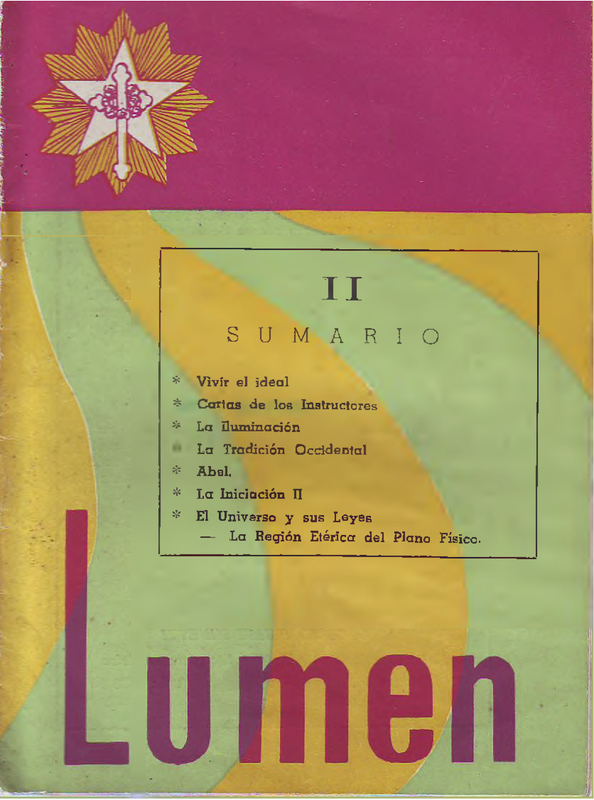 Apparently ceased and was restarted various times under the name Lumen / Lumen de Lumine. Generally anonymous contributions on occult subjects, with a decidedly sexual slant on the development of man's vital powers, and various lessons ("Cartas de los Instructores") on occult matters. If the journal published currently is the same as that in the 1930s, the presiding spirit of the movement was Samael Aun Weor. Deutsche Nationalbibliothek; Ibero-Amerikanisches Institut Preussischer Kulturbesitz.